Is sugar-free still bad for teeth? Scientists at the University of Melbourne’s Oral Health Cooperative Research Centre have warned about the damage sugar-free drinks can do to tooth enamel. Researchers in the Centre tested 23 different types of drink, including soft drinks and sports drinks, and found drinks that contain acidic additives and with low pH levels cause measurable damage to dental enamel, even if the drink is sugar-free. “Many people are not aware that while reducing your sugar intake does reduce your risk of dental decay, the chemical mix of acids in some foods and drinks can cause the equally damaging condition of dental erosion,” Melbourne Laureate Professor Eric Reynolds, CEO of the Oral Health CRC, said. Early dental erosion can usually be reversed by oral health professionals with treatments to replace lost minerals. 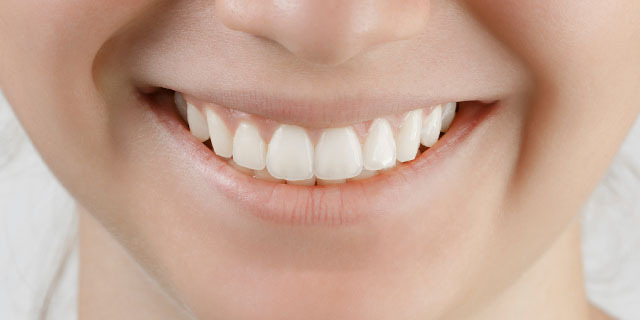 In more advanced cases, the lost surface of a tooth may need a filling or crown. Studies in the Oral Health CRC measured dental enamel softening and tooth surface loss following exposure to a range of drinks. The majority of soft drinks and sports drinks caused softening of dental enamel by 30%-50%. Both sugar-containing and sugar-free soft drinks (including flavoured mineral waters) produced measurable loss of the tooth surface, with no significant difference between the two groups of drinks. The Oral Health CRC has this week released a briefing paper outlining the findings of its dental erosion studies and is recommending better consumer information and product labelling to help people consider their oral health when selecting food and drink products. Professor Reynolds says ‘sugar-free’ labelling does not necessarily mean a product is safe for teeth. Check ingredients for acidic additives, especially citric acid (ingredient number 330) and phosphoric acid (ingredient number 338). Drink more water (preferably fluoridated) and limit soft drinks and sports drinks. After eating or drinking acidic products, don’t brush your teeth straight away as this can remove the softened tooth layer. Instead, rinse your mouth with water and wait one hour before brushing. Have regular check-ups with your oral health professional. The Oral Health CRC is a consortium of university and industry partners based at the University of Melbourne and supported by the Australian Government’s Department of Industry, Innovation and Science. The Centre carries out world-class scientific and clinical research to advance the prevention, diagnosis and treatment of oral diseases.